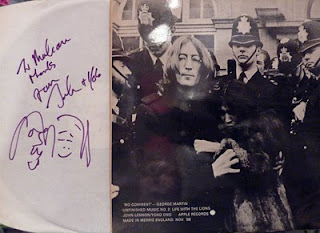 Liverpool Beatles Auction: Two very special lots as final additions to the auction. Two very special lots as final additions to the auction. The following two items are additional lots in this year's auction and do not appear in the main catalogue. 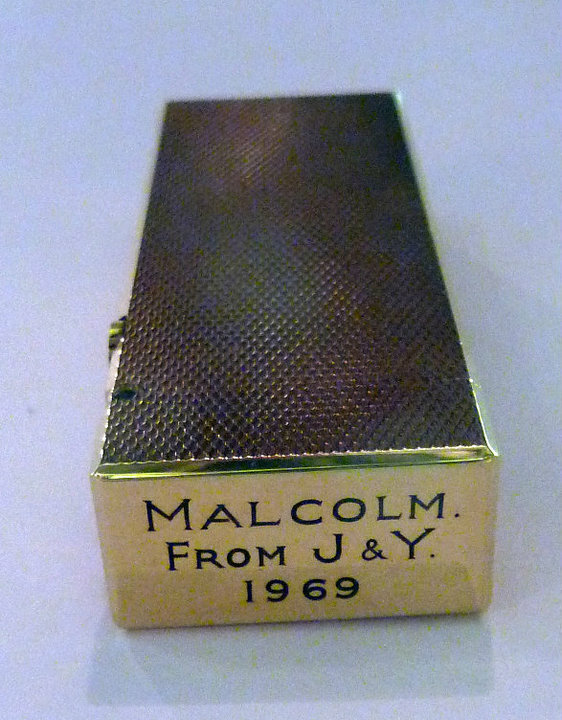 Both items are the property of Malcolm Davies who was a recording engineer at Abbey Road Studios. 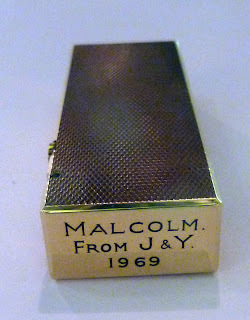 A gold Dunhill lighter, engraved "Malcolm From J&Y 1969" A gift to Mr Davies from John Lennon and Yoko Ono. 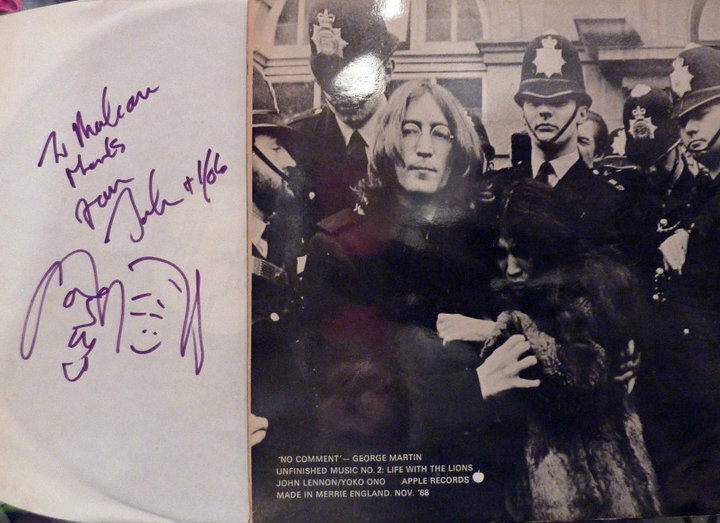 A copy of the album Life With The Lions signed boldly on the inner sleeve "To Malcolm Thanks From John & Yoko" with a hand drawn doodle of the pair by John Lennon.